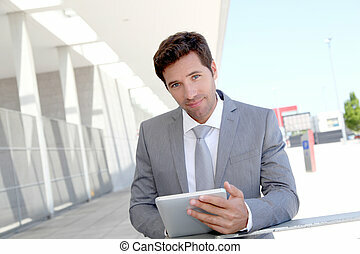 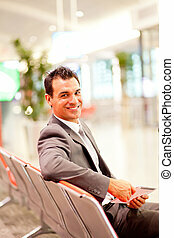 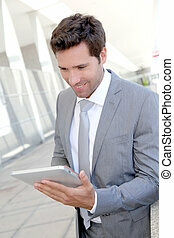 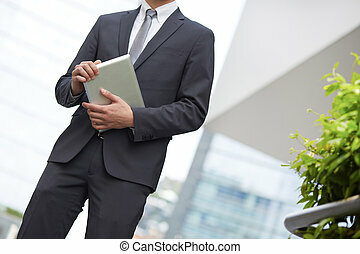 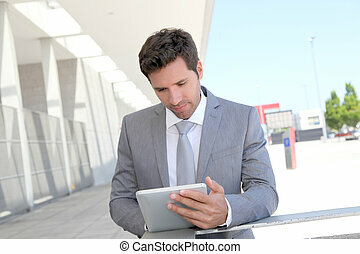 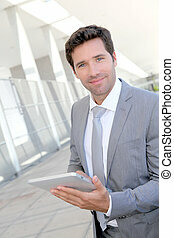 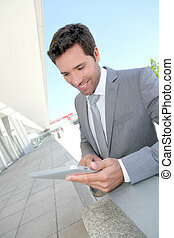 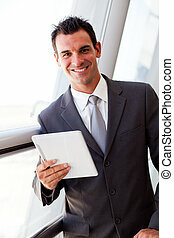 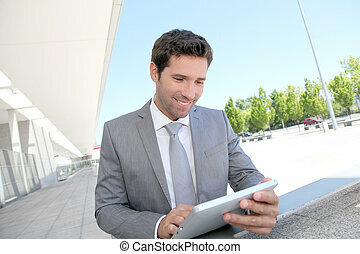 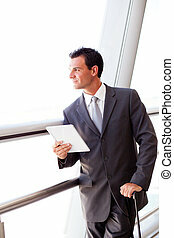 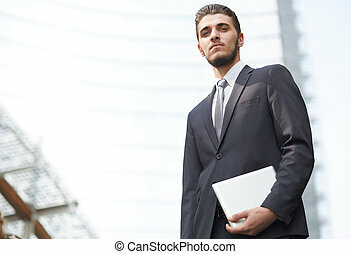 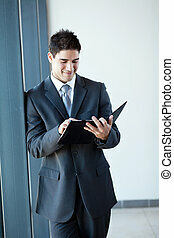 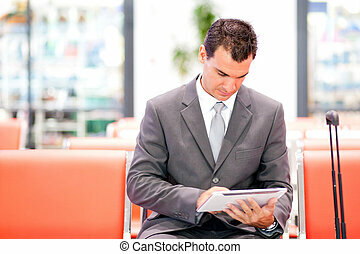 Businessman using tablet computer airport. 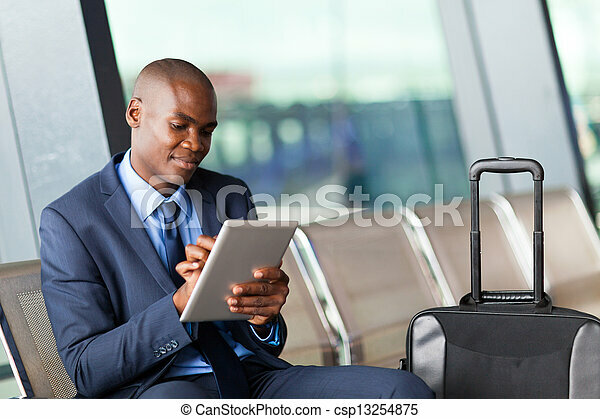 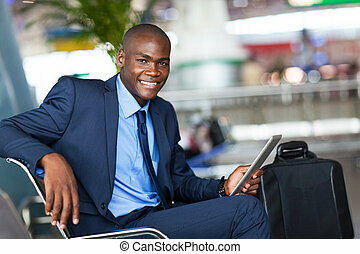 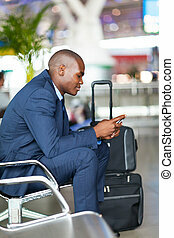 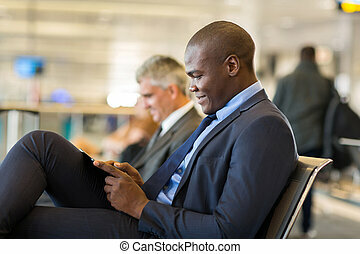 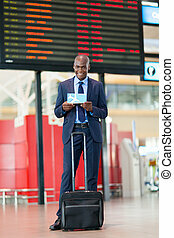 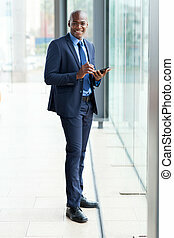 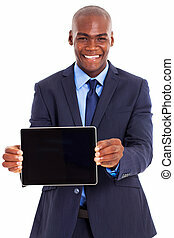 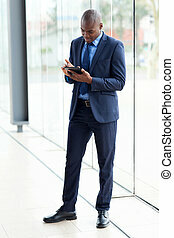 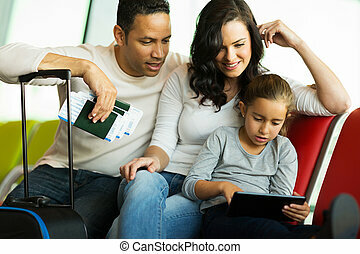 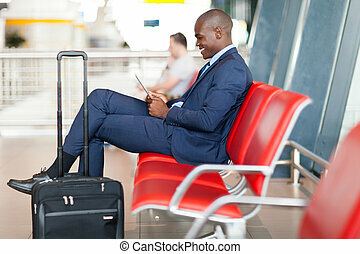 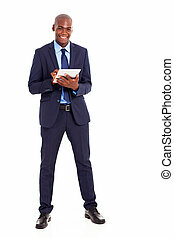 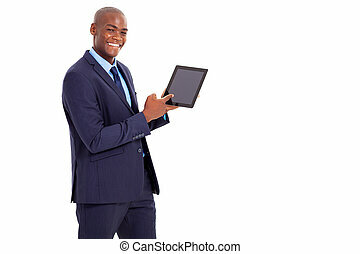 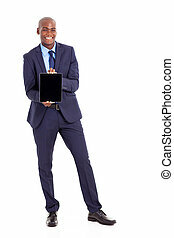 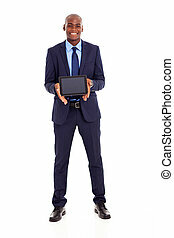 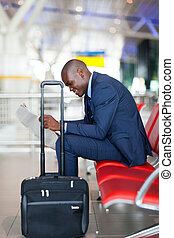 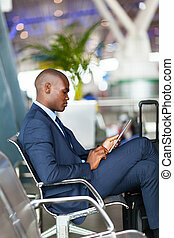 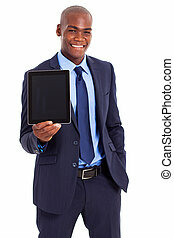 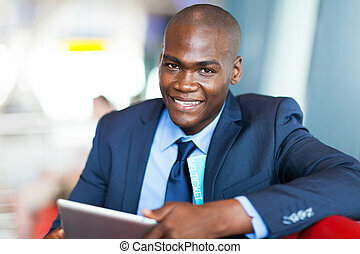 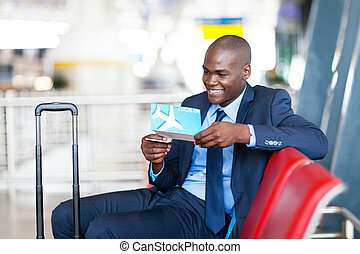 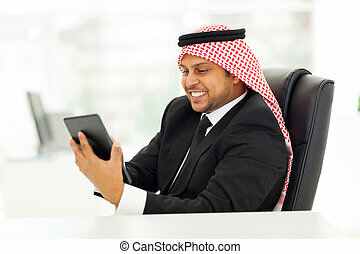 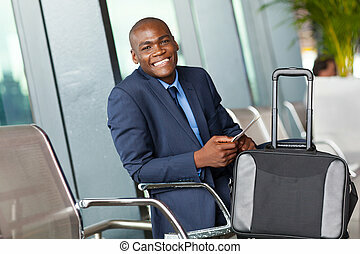 Black businessman using tablet computer at airport. 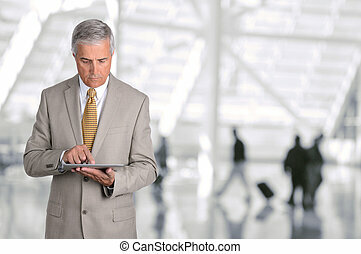 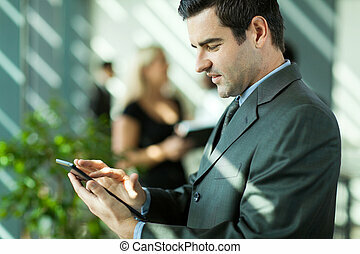 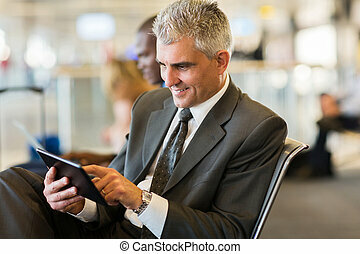 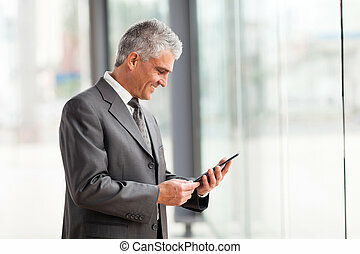 Closeup of a mature businessman using his tablet computer in an airport concourse. 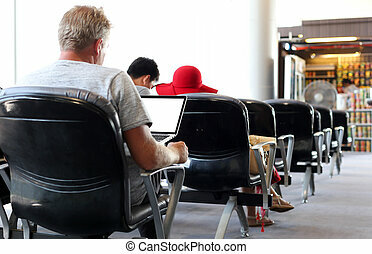 The man is looking at the device with blurred passengers in the background.